The title of these tasty dinner treats are intriguing, right? It’s a pretty simple concept though. Take something that westerners love…like meatballs and add in some amazing healing spice that originated in the east…like turmeric. What you get is an upgraded downhome-style culturally diverse culinary meal you’d be proud to serve to anyone gracing your table. Meatballs are meatballs, right? Not necessarily true. What you pack in these little round beasts makes all the difference between a high protein topper for spaghetti versus a antioxidant-rich, fiber-packed, nutritionally-inspired meal ready to top anything from rice to salad to spaghetti squash. Turmeric (activated) There’s a plethora of research on curcumin, the active component of turmeric. (2) The active components of turmeric are kicked into high gear (or become more bioavailable or activated) when you consume it with healthy fats and pepper. Garlic: This lovable bulb from the allium family has a long history of helping treat many diseases. (3) Plus, is there anything more flavorful to add to a savory meal? 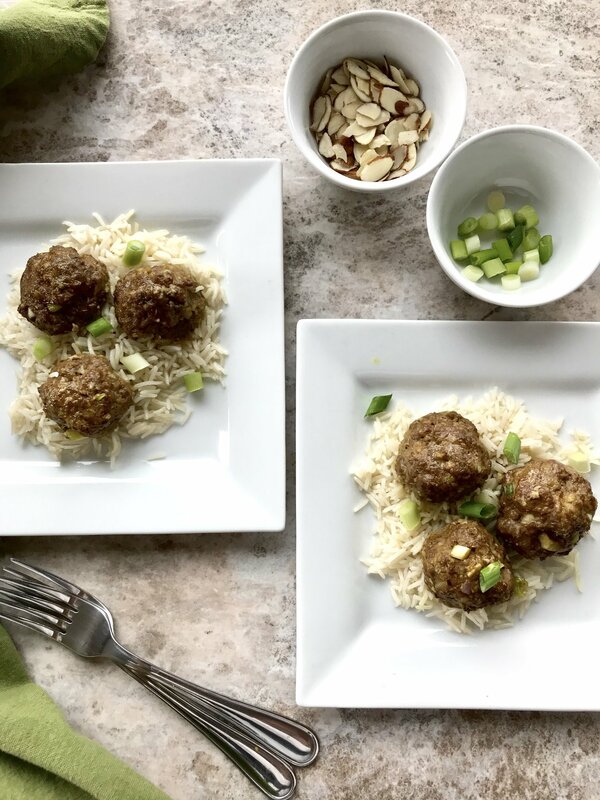 This meatball recipe was inspired by the bood, The BulletProof Diet, “Bulletproof Meatballs,” page 258. If you're looking for a way to upgrade the healing quality of your meatballs, look (or taste) no further than these delicious bison meatballs laced with a bit of curry to give them a multi-cultural kick. The turmeric or curry you use has curcumin known to help with inflammatory conditions. Step 7 Serve with Love and Enjoy!